The first - and most important - part of using Analysis Services (tabular mode) is to create a data model, incuding only those tables and columns you need. 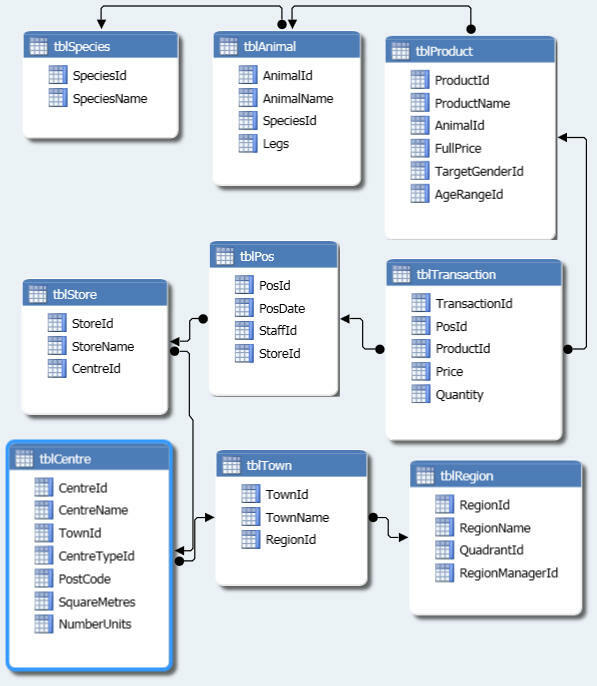 This lengthy blog shows you how to go about creating the perfect data model! 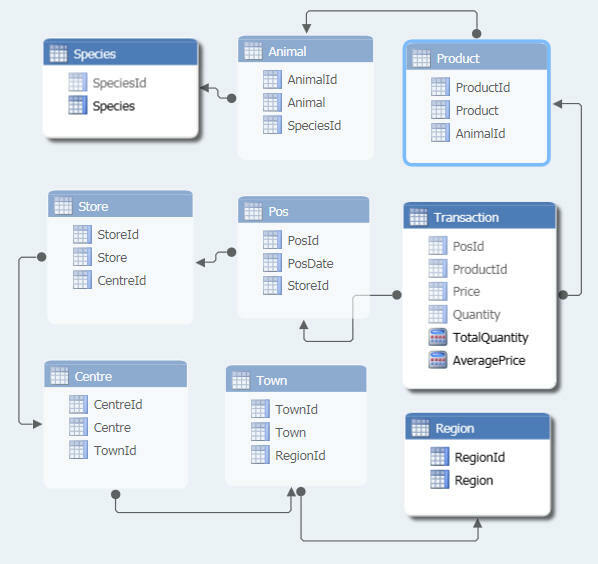 A data model feeds off the data in a relational database, and provides the data for a pivot table in Excel. The main tables in the underlying relational database. This pivot table field list includes everything and the kitchen sink, so it's difficult if not impossible to pick out the fields of interest. 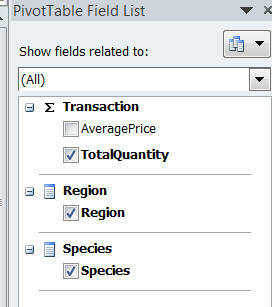 hide from our pivot table fields which would otherwise clutter it up. This data model is much cleaner and easier to understand. Pivot tables like this are the holy grail of tabular models; there are 9 tables included from the underlying database, but only 3 tables visible in the pivot table field list. Later on in this tutorial we'll discover that you can use the RELATED function to combine these fields into (apparently) a single table. Make changes to tables that you've included in your model. We'll begin with creating a connection to your data source.